Airlines have chalked out ambitious plans to grow international business. Their journey is likely to be lengthy and tiring. Back in June 2016, the fifth-largest airline in the country, GoAir, added the 20th aircraft to its fleet of narrow-body Airbus. This was crucial because GoAir had been planning to fly on international routes for several years. Having at least 20 aircraft is mandatory for domestic carriers to launch international operations. But its plans were hit by the engine supplier Pratt & Whitney (P&W). GoAir, like IndiGo, faced a series of issues with Airbus A320neos, some of which were equipped with faulty P&W engines. 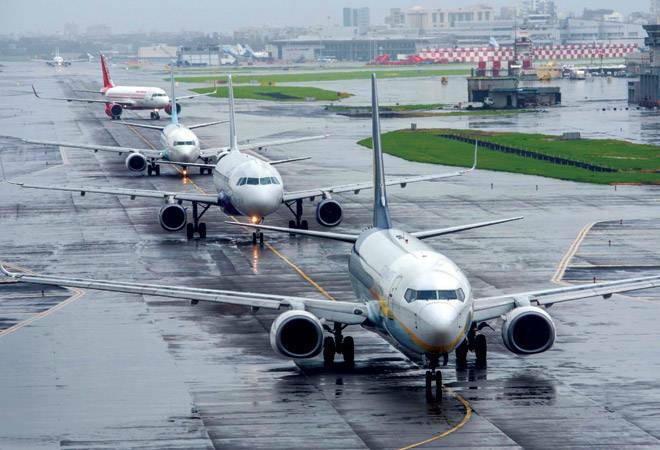 "The airline started facing engine issues - including grounding of aircraft by aviation regulator DGCA and delays in getting spare engines - after delivery of its first neo, which led to inordinate postponement of the international expansion," says an aviation analyst. After waiting for over two years, GoAir announced its international foray early September. It is planning flights to Phuket (Thailand) and Male (Maldives) from October. "There is a visible trend and potential for international destinations. The rising working group and widening middle class are expected to boost demand as more Indians travel to foreign countries for holidays. Airports across the globe are planning to increase their spending on new technology to keep up with surging passenger traffic," says Cornelis Vrieswijk, CEO, GoAir, who was brought in June this year to control costs and facilitate the international launch. Besides GoAir, IndiGo, Vistara and AirAsia India have also chalked out plans to look beyond the domestic market in a big way. At present, Jet Airways and Air India are the only two domestic carriers that have long-haul international flights. SpiceJet and IndiGo offer short-haul services to Colombo, Sharjah, Bangkok, Doha and other destinations. However, this is set to change. Even though the domestic traffic is growing at a faster clip than the international segment, the lure of international markets is drawing airlines across the board. Last year, when the government announced Air India's disinvestment, market leader IndiGo was quick on the draw to express its interest in acquiring international operations. IndiGo, after all, has been steadily ramping up its international operations - the total international capacity has gone up from 11 per cent last year to about 15 per cent at present. Later, it backed out, citing concerns with the structure of the deal. Air Indias international operations would have given IndiGo access to an established network. But that's history now. Since then, IndiGo has talked about international expansion on more than one occasion. In an analyst call in May, Co-founder Rahul Bhatia had said: "We were very interested primarily in the acquisition of Air India's international operations and Air India Express. Unfortunately, such an option is not available... we continue to look at the long-haul opportunity without Air India. We continue to seek route rights and other necessary regulatory approvals... to operate long-haul flights and we are also actively studying the choice of wide-body aircraft". A recent report suggests the airline has put its wide-body aircraft plan on the backburner owning to rising aviation turbine fuel prices and is weighing the option of introducing A321 LR, a long-range aircraft that can fly up to 11 hours compared to six hours for A320s on one load of fuel. With A321 LR, IndiGo will be able to cover European destinations, which will be in addition to adding destinations such as Abu Dhabi, Kuala Lumpur, Kuwait, Male, Jeddah and Hong Kong - between October 2018 and March 2019 - where it has secured traffic rights. Tata Group-Singapore Airlines joint venture airline Vistara, too, has outlined plans to start international operations by the end of this year with destinations within the range of A320neo. In addition, the airline has recently placed orders with Boeing for six 787-9 Dreamliners, scheduled for delivery between 2020 and 2021, to tap medium- and long-haul routes. The airlines are also stitching partnerships in the form of interline, code-share and metal-neutral agreements that are crucial for international operations. For instance, Vistara has signed a code-share agreement with British Airways (BA) where BA's passengers flying from its three London hubs - Heathrow Airport, Gatwick Airport and London City Airport - will be able to hop on to 60 Vistara-operated flights covering 13 Indian cities, including eight new destinations. Similarly, if Vistara starts a service to London, its passengers will possibly feed into BA's existing (large) network in the US and Europe. For airlines like IndiGo with over 42 per cent domestic market share, a significant international presence will complement its large domestic network. The international segment contributed to 10.42 per cent of IndiGo's revenues in 2017/18. Its market share in international traffic stood at 5.81 per cent in the January-March period. Vistara has been preparing for international expansion for quite some time. It has 27 partnerships with global airlines, and is working on more collaborations. "We believe scaling up and starting to fly abroad will give us greater brand visibility, propel growth and maximise revenues. Even with so many foreign carriers flying to and from India, there is still a void in the market, which is where we find Vistara filling in," says Vistara CEO Leslie Thng. Until 2016, start-up carriers such as Vistara and AirAsia India were gunning for scrapping of the 5/20 rule that mandated airlines to have 20 aircraft and five years of experience to fly abroad. A few months ago, AirAsia India got mired in a scandal alleging its involvement in rigging this rule, which is delaying the airline's international foray. Large opportunity, rising competition from neighbouring hubs, better asset utilisation, fear of losing out to competition and ability to attract talent are some of the drivers behind the rush. Brian Pearce, Chief Economist, IATA (International Air Transport Association) - a global trade body, says nearly 60 per cent of India's international traffic is handled by foreign carriers, unlike in many other countries. "It presents a big opportunity for domestic carriers," he says. The Indian aviation market is underserved when it comes to non-stop international flights. Much of the business has gone to nearby regional hubs such as Dubai, Abu Dhabi and Doha in the West and Singapore, Bangkok and Hong Kong in the East. These hubs have built their strength at the cost of India. A large chunk of India's outbound passengers makes a stopover at these hubs before moving on. Indian carriers, with their ambitious global plans, can regain some lost ground by offering non-stop services at competitive prices to foreign and domestic flyers. "The reasons are both commercial and operational. Typically, the revenue per seat kilometres (RPKs) on international routes is slightly higher. You will find fewer low-value travellers on international flights. Most flyers are either tourists or on business trips and not very price-sensitive. Hence, the yields are higher," says Amit Sinha, Partner at consultancy Bain & Company. Unlike many airports in the US, most big airports in India operate 24x7, but airlines don't fly on domestic routes between 12 midnight and 5am because of weak demand. An international passenger, on the other hand, is not particular about flight timings. The airlines can use this to add some international flights to nearby destinations and improve the asset utilisation of the fleet. "International operations open revenue streams from various travel verticals like leisure, business, and MICE [meetings, incentives, conferences and exhibitions]. Destinations are selected keeping these as well as viability and seasonality of these regions in mind. Point-to-point operations to these destinations have a distinct benefit as they ensure optimum utilisation of fleet/resources and steady income," says GoAir's Vrieswijk. IATA expects India to surpass the UK as the world's third-largest aviation market - both departing and arriving passengers - by mid-2020. It's about time Indian carriers add capacity in the international segment to take advantage of the opportunity. "Airlines with diversified operations attract better talent because salary structure, perks and growth opportunities for international staff are different," says an analyst. There's a word of caution from Kapil Kaul, CEO (Indian Subcontinent & Middle East), CAPA. The international model is not easy to crack, he says. "One needs a strong balance sheet. An Indian carrier planning to add new routes will first have to face intense competition from incumbents. It takes roughly about a year before an international route turns profitable. Till that time, the airline has to keep pumping in money," says Kaul. "The biggest challenge for Indian carriers is going to be brand building in destinations where they are planning to fly. The other prerequisite is a strong balance sheet," says IATA's Pearce. For Indian carriers, these are tough times, but irrespective of how the market situation pans out, the international ambitions will be realised sooner or later.